← New LTE Hot Spots Available! 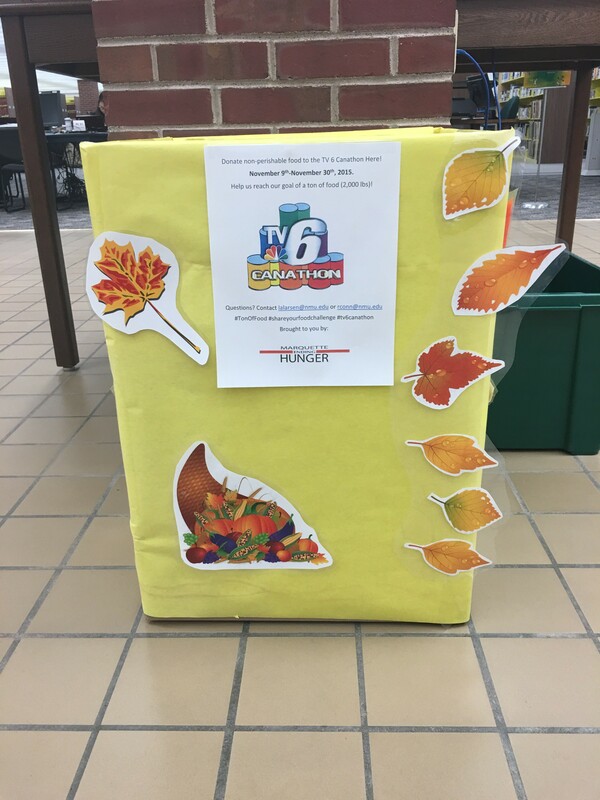 The Lydia Olson Library has recently received a Canathon Drop Box! Marquette Ending Hunger is looking to donate a ton of food to the TV6 Canathon. That’s 2,000 pounds! They are looking for any non perishable food and it will be in the library and around campus until Nov. 30! If you have any questions, contact lalarson@nmu.edu or rconn@nmu.edu!